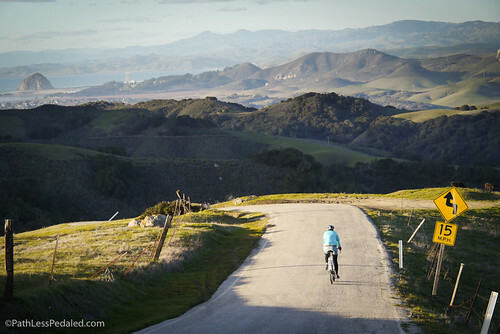 Home > stories > Travel by Bike: California Dreaming…starting now! Travel by Bike: California Dreaming…starting now! PathLessPedaled – Travel by Bike – California Dreaming! from Russ Roca on Vimeo. Of course, we couldn’t resist the temptation to shoot some video and make a little series out of the trip. Episodes will be short (probably 2 to 3 minutes at the maximum), with some fun and interesting content. We’re doing no pre-production so we’re winging the stories as we go. But, if you want to meet up or have something interesting and bikey to check out email us! We’re so looking forward to exploring again by bike and hope you’ll follow along. And if you have ideas or want to meet up, don’t be shy. I hope you will record your routes using a GPS tracker and publish them. I’ll be touring the same area in Feb., and will be interested to see exactly where you go, and what you think of different routes. I second the request for route information! I think I’ve convinced a group of friends to do a multi-day bike trip in this exact area in 2014. I’d be really curious to know if there are good alternates to the typical Pacific Coast Bike Route and other off-highway diversions. Just got done riding (pretty much) the same route, guess I missed you by about 6 days.- Wish I had known of the roads you took, as they look much less stressful than the ACA route I ended up on. I agree, the area is ripe for bicycle tourism! Have a blast down there!